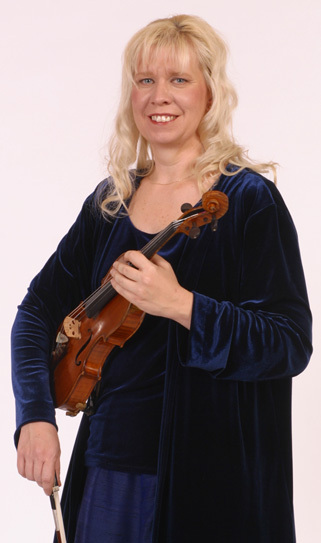 Though she doesn’t get a lot of publicity, Suzanne Beia – recognizable as the blond woman who sometimes uses magenta-dyed horsehair on her bow — really is a violinist for all seasons. In Madison, the hard-working Beia (below) performs as a soloist, a chamber musician and orchestral player, all in addition to teaching. She is legendary for learning music quickly and playing chamber music from memory even when using music. Then on this Saturday night at 8 p.m. in Mills Hall, Beia will perform with the Pro Arte Quartet in a program of Mozart (Quartet in E-Flat Major, K. 428), Dvorak’s Quartet in D Minor, Op. 34) and Schumann (Quartet No. 3 in A Major, Op. 41, No. 3). What are your various posts in Madison as professional violinist? 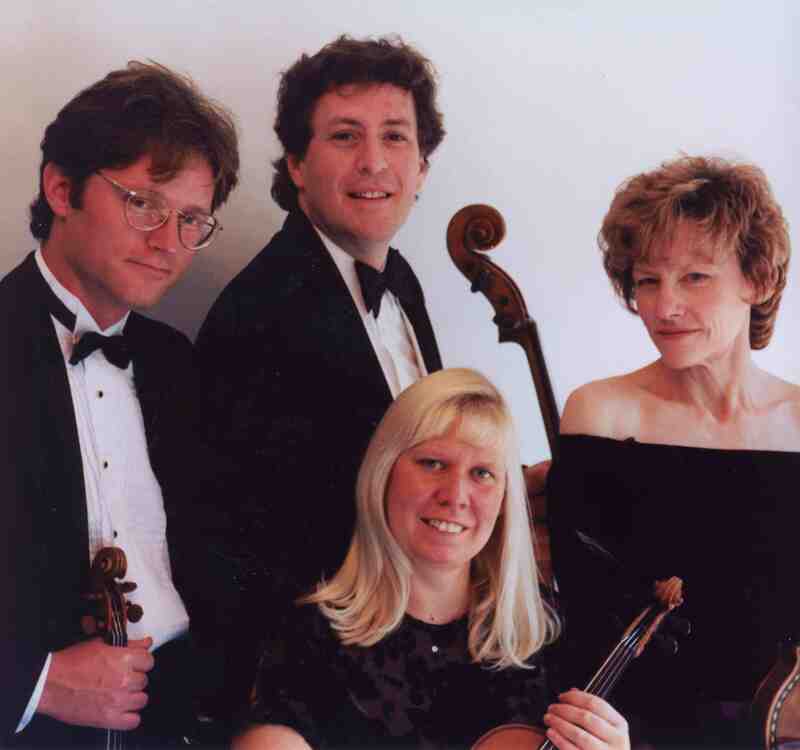 As a violinist in Madison, I perform as a member of the Pro Arte Quartet (below, in a photo by Katrin Talbot), Concertmaster of the Wisconsin Chamber Orchestra, Co-concertmaster of the Madison Symphony, and I am a member of the Rhapsodie String Quartet, which is the string quartet of the Madison Symphony’s nationally acclaimed HeartStrings program. I also coach younger chamber ensembles at the University of Wisconsin, as well as through the Wisconsin Youth Symphony Orchestras. What duties are special about each position? How about the Pro Arte? In the Pro Arte Quartet, I play second violin, which requires slightly sharper skills in the areas of following and blending. 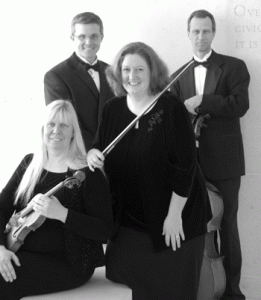 The Pro Arte Quartet allots 15 hours per week for rehearsal and performs an average of 25 concerts per year. As concertmaster of the Wisconsin Chamber Orchestra, I am responsible for choosing bowings for the string section and checking the violin parts for errors and misprints, in addition to learning and performing any violin solos that might be found within the pieces. The Chamber Orchestra performs several subscription concerts each season, plus Madison’s very popular summer events, Concerts on the Square. And the Madison Symphony Orchestra? In the Madison Symphony, I see my job as playing my part to the best of my ability, and serving as a sort of liaison between the conductor/concertmaster and the rest of the violin section. Of course, part of my job as Co-concertmaster is also to be ready to “step in” at any moment, should there be any type of unforeseen emergency involving the concertmaster. In addition to our regular subscription concerts and extraordinary educational programs, the musicians of the Madison Symphony comprise the orchestra that accompanies the Madison Opera. The Symphony’s HeartStrings program is a truly innovative program of which I am very grateful to be a part. Through the program, a string quartet (below, featuring myself, violinist Laura Burns, violist Christopher Dozoryst and cellist Karl Lavine) brings music of a variety of genres to Madison Area special needs communities such as adults with dementia or developmental disabilities, children with autism spectrum disorder, and the like. In addition to performing approximately 95 programs per season for these audiences, I have been granted a great deal of authority to help in deciding the programming of these performances.